A monthly fire-side gathering on the Lower East Side- rain or shine! 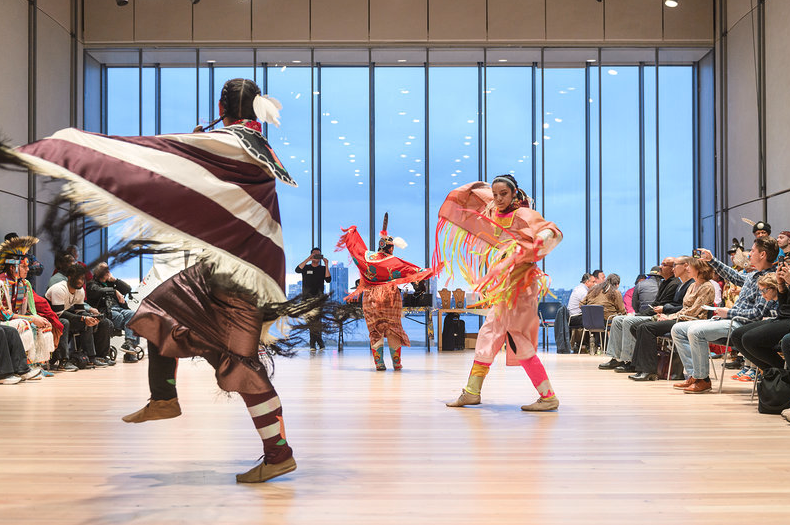 For the July 24 gathering, Emily Johnson/Catalyst and Abrons Arts Center is proud to co-host the American Indian Community House’s Summer Social! The American Indian Community House (AICH) has hosted Socials as an integral community building event since our founding in 1969. Similar to a Pow Wow but smaller, the Social is an extension of a long-standing lifeway among Indigenous people that brings relations and friends from different Tribal Nations together around Native drum and singing, dancers in traditional regalia, conversation and the sharing of stories, and food and refreshments in a relaxed, comfortable atmosphere. The AICH Socials solidify bonds among Indigenous people living in the New York City area who are often far from their original homelands but can also welcome new friendships with guests from diverse communities. In this spirit, AICH has partnered with many organizations and institutions throughout it’s history to make a truly inclusive experience. AICH is happy and honored to collaborate with the Abrons Arts Center as our host and co-sponsor for the July 2018 social. Presented as part of The Mile-Long Opera, which is made possible by the Presenting Sponsor, Target.